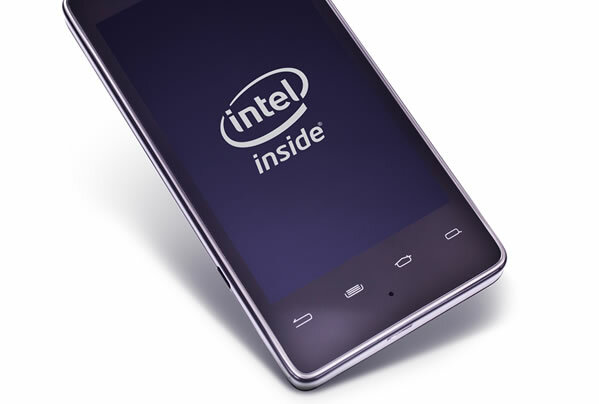 Tests carried out on the latest handsets powered by Intel chips has concluded performance exceeds the levels seen in current, at-market smartphones; including Apple’s iPhone 4S and Samsung’s Galaxy Nexus and the Galaxy S2. The results come from a series of ‘benchmarking’ tests carried out by website Anandtech on Intel’s ‘Medfield’ reference platform. Having confirmed at this year’s Consumer Electronics Show (just passed) that it would be entering the smartphone arena in force, with deals made with both Motorola and Lenovo to power their respective handsets, Intel’s bid to challenge UK-based chipmaker Arm – currently dominating smartphone processor manufacturing duties – now has a whole lot of weight behind it. Though it'll no doubt be in partnering with other high-profile phone companies (Apple, LG, Samsung) where Intel can really claw its way back into the ever-evolving smartphone marketplace.